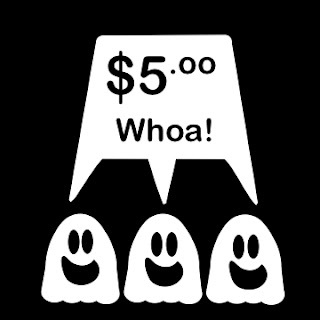 Three Ghost Friends: $5.00 Whoa! Amazon has all of the Three Ghost Friends paperback books on sale for $5! I am the author and that is about what I buy them for! It is great deal! I don't know how long this will last, but get them while you can. They would be a perfect Halloween gift for your little ones! Don't forget that we are up over 60 FREE activities and printables too! Buy the books and have one activity for each day leading up until Halloween!